Put simply, a surety bond is an alternative to a security deposit. Here’s what you need to know. A security deposit is a set-amount of money ($1,000) that you pay the landlord before you move in. This set-amount of money ($1,000) serves to protect the landlord if you violate terms of the lease, trash the property, etc. If the security deposit is refundable, you could get it back (all the way up to $1,000) once you move out as long as the rental is undamaged and you have paid all your rent, etc. A surety bond is a three-party agreement that binds you, a surety company, and your landlord together. Basically, getting a surety bond is kind of like having a surety company co-sign for you. Generally, you'll pay 1-4% of the total bond amount (so $10-$40). If you violate the terms of the lease, trash the rental, etc, then your landlord can make a claim against your bond. If the claim is determined to be valid, the surety company will pay your landlord (up to $1,000). Then the surety company will come to you for re-payment for whatever they paid your landlord. One important difference is that with a security deposit, you can get the money back (up to the full $1,000 or whatever the amount is). 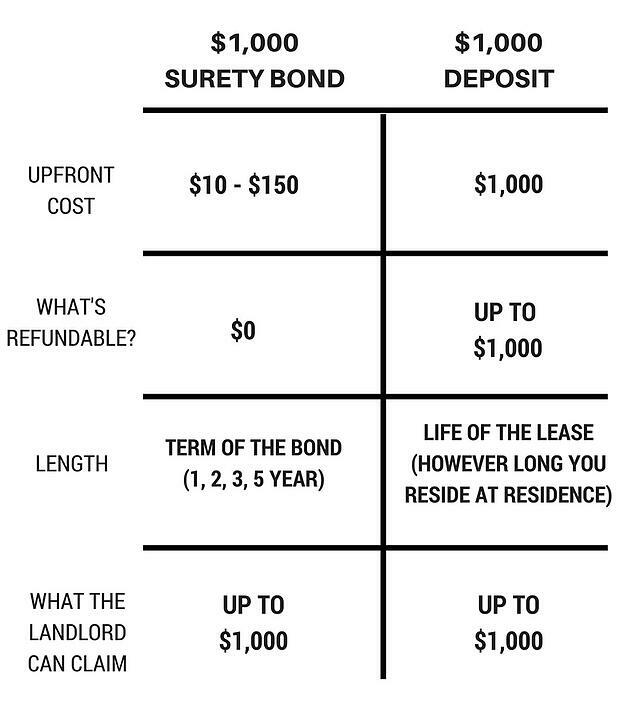 With a surety bond, you cannot get back the money you paid for it (the $10-$40). That money is non-refundable. And, if your landlord makes a claim against your bond, you might be forced to pay the total bond amount. Both are forms of protection for your landlord, but one might cost you more money in the end. Surety bonds and security deposits accomplish the same thing, but there are drawbacks you need to weigh. Still need more help? 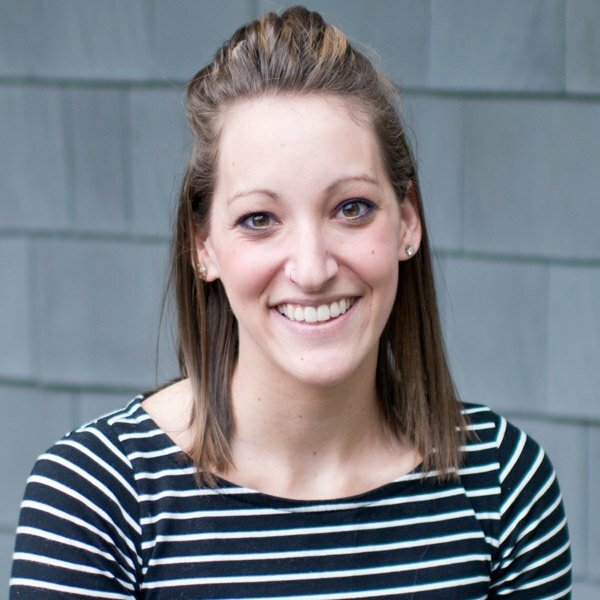 Check out this resource. *Most surety companies will have a minimum charge for any bond they issue. Many companies have a minimum $100 charge. As a landlord, if prospective renters do not have the required security deposit, a surety bond might be a viable option. Want more benefits? Here’s a great resource on 7 Advantages to Surety Bonds. Are you a resident looking to get a bond in place of a security deposit? Are you a landlord wanting to allow the option for a surety bond for new residents moving in? 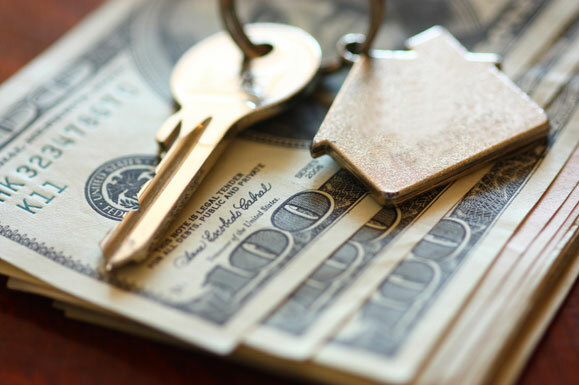 What’s the Difference Between a Surety Bond and a Security Deposit?